Something I should like to know: How do scientists know the age of the earth? In so many texts (or in the BBC series, "Walking with dinosaurs, for instance), one hears or reads: "T-Rex lived 165 million years ago"
How do they know this for a fact? Diana - Well, actually, as I mentioned in the news story earlier, the Sediba skeletons were dated using paleomagnetism and uranium-lead, which is an isotope. With paleomagnetism, certain rocks they will have magnetic polarity which tells you what the magnetic polarity of the Earth was at the time that they were exuded from the crust. And this changes over time. So, you can work out when this rock was made. With uranium isotope dating, there's uranium-238 and uranium-235,which both decay to lead over time. So, you can check the relative proportions of uranium and lead and work out how much has decayed into lead. These isotopes have half-lives of a million to even 4.5 billion years, so you can actually go quite far back with your fossils. These are absolute dating methods, but there's also relative dating, which is the simplest method really. You just look at the layers of the rock and say, "Well, this layer is below that one and we know that layer is so old. So this must be even older." And that's how a lot of fossils are dated. Chris - So, I guess what you're aiming to do is to use a number of different methods. And it's a bit like drawing a series of lines to see where they all converge. And you take the best agreement between all the different methods and say, well, that one seems to agree with everything and, therefore, it's likely to be that old. Diana - Yeah, that's right. And the uranium-lead method is quite popular and it is actually quite accurate. They can get down to 0.1% with the actual date, which is pretty good. Dave - The original way which doesn't give you an absolute date but does give you a relative date is that you look at the other fossils which are around it, because if you've got something like a dinosaur bone, around it there's also tiny things like beetles and little tiny snails. 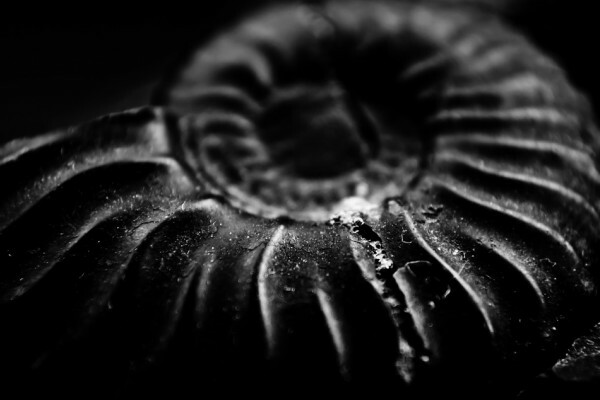 If you know these fossils only appeared at a certain date and went extinct another date, you know that the fossil must be from within those two dates. You've got 40, 50 different fossils there, so you can get a really quite accurate date. Chris - Yeah. As long as you get the other ones right, you're right. Previous What do Worms do in the Rain? Next Why do Gums recede?